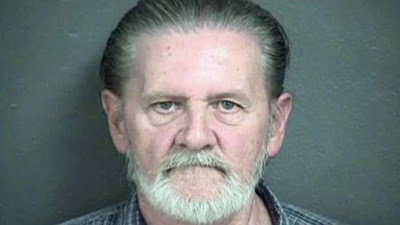 70 year old man robs bank in a rather unbelievable story that once again has shown it is very important being in the right marriage.The 70 year old Kansas man, Lawrence John Ripple, reportedly told authorities that he had just robbed a bank because he wanted to go to jail instead of continue living with his wife. According to Ripple's affidavit, he wrote out his demand note in front of his wife and told her he’d rather be in jail than continue living in the same home with her, then walked into a Kansas City, Kan., bank last week and handed a teller a note that read, "I have a gun, give me money,". According to the Kansas City Star, the teller handed over a bag of cash and Ripple, rather than run away with the cash, sat in the bank lobby until police arrived minutes later. He is said to have told a security guard who approached him that he was the "guy he was looking for." Ripple, who now faces federal charges, later told FBI agents that he and his wife had been in a fight and he did not "want to be in that situation." Should this poor man be punished by sending him to jail or sending him back home to his wife?